As summer gives way to fall – and it does eventually happen in San Diego even though the calendar says it should be fall dropping into winter – I want tomato soup. It happens every year. It’s not the bright sweetness of the tomatoes in last month’s gazpacho I’m craving, it’s the rich and full flavor of roasted tomatoes. But I want more than that. I want to make a meal of it. I want savory ham and vegetables that reflect the direction the weather has taken. Fall vegetables like parsnip, rutabaga and carrots. So, for this meal-in-a-soup I diced those vegetables and ham and seared them in the sauté pan, served them in the bowl before ladling the soup around them. Paired with the simple, comforting flavors of a tomato soup I remember from childhood, this was exactly what the (slight) turn in the weather called for. Roast the Tomatoes. Preheat the oven to 350° Fahrenheit. Coarsely chop the tomatoes, place them on a hotel pan, drizzle with olive oil and season with kosher salt and freshly ground pepper. 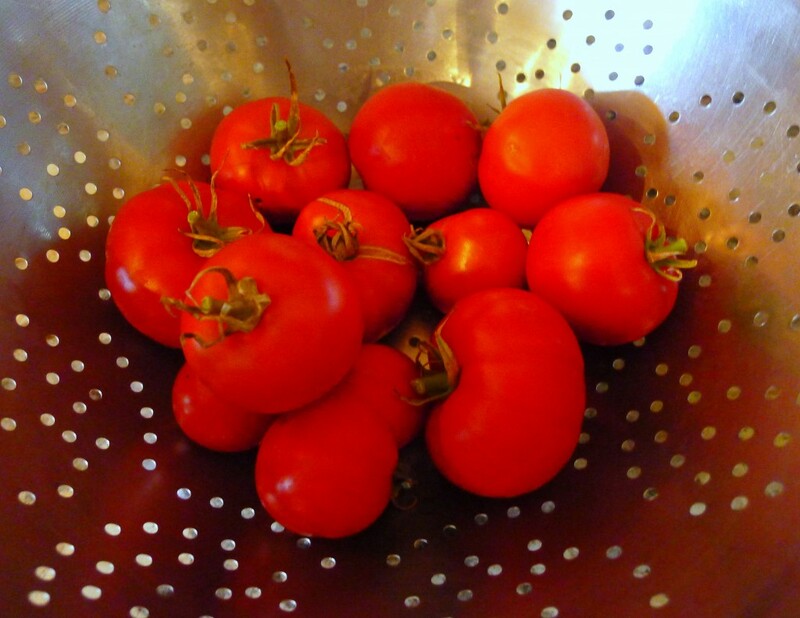 Roast the tomatoes for 20 to 30 minutes, until they are caramelized. Begin Building the Soup. Meanwhile, season the onions, carrots, leeks and fennel in a large soup pot with kosher salt and freshly ground pepper. Sweat the aromatic vegetables over low heat until translucent. Finish the Soup. Add the roasted tomatoes and stock to the pot and bring to a boil over high heat. Reduce the flame to low and simmer for 15 to 20 minutes until the liquid has reduced by about a third. Add the heavy cream. For the Bowl. 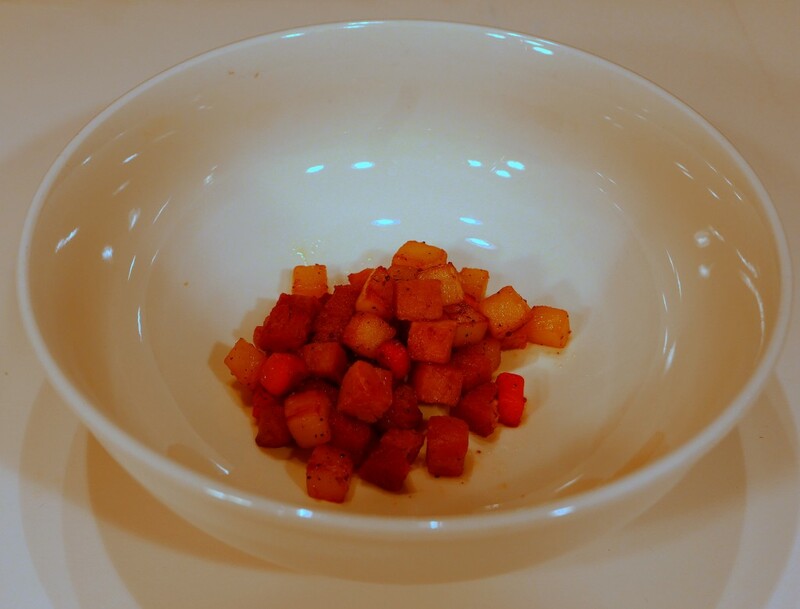 Meanwhile, place a teaspoon or two of oil in a sauté pan and sear the diced rutabaga until just caramelized. Remove them to a covered bowl. Add another teaspoon of oil to the pan and repeat with the carrots and parsnip. Remove those vegetables to another covered bowl and repeat with the ham. Purée the Soup. In a Vitamix or other high speed blender, puree the soup (working in batches). Strain the soup as you finish each batch. Taste the finished soup and adjust the seasonings. 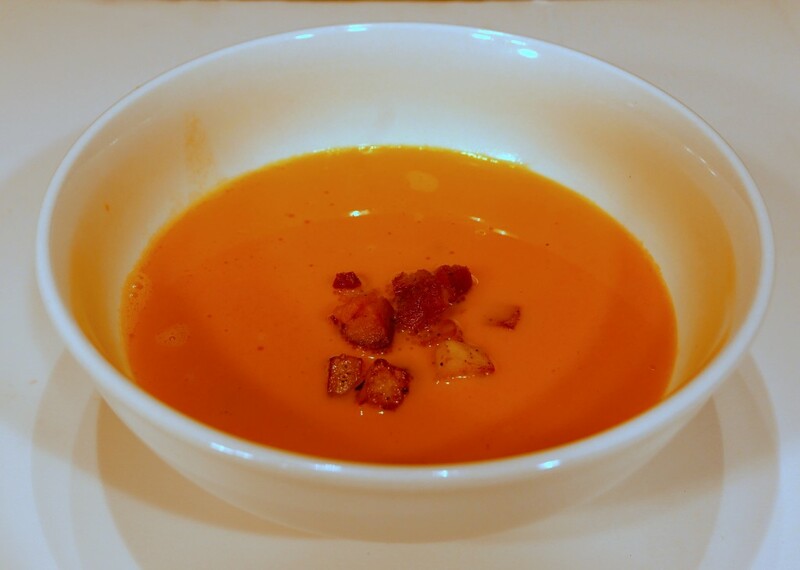 Check not only for salt and pepper, but if the soup needs a little brightness add a bit of sherry vinegar. Plate the Soup. Arrange the ham and root vegetables in each soup bowl. Ladle the soup around the ham and vegetables. Take a little trip back in time to your childhood.